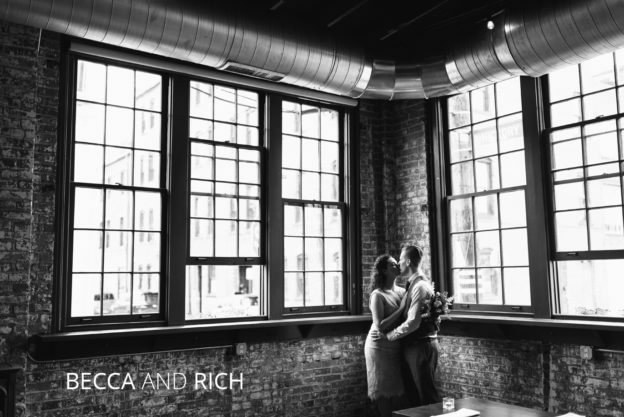 This is easily one of my favorite weddings I’ve ever shot, mostly because Becca and Rich made it so intimate and uniquely them. From the start, Becca even referred to it as their “non-wedding”. They were married on a Thursday earlier this October. 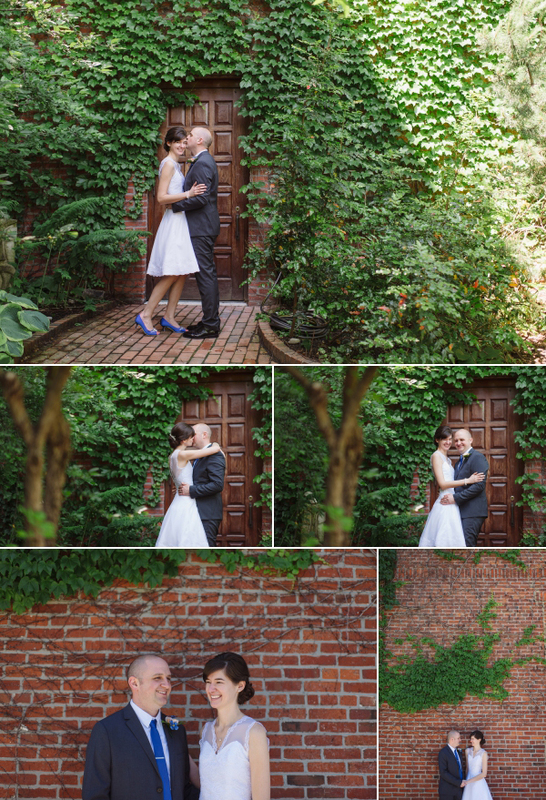 We met downtown at the Columbus Courthouse where other people were getting married on a Thursday as well. The couple getting married before them brought too many people to even fit into the room, so they were married in the hallway and we got to watch. I think that all made the experience even more exciting! The excitement for Becca and Rich’s names to be called into the chamber next was palpable. The whole ceremony probably took less than 5 minutes. I was the only witness to their marriage besides the judge presiding!!! It was such a fantastical blur- and again I felt so thankful for being there so I could help preserve those quick but mighty minutes. From the courthouse, we walked around downtown. While we walked, Becca told me how the whole planning process came together. Her dress was from Rent the Runway. I’ve actually done RTR and my personal experience was amazing. You’re able to wear clothes that make you walk a little taller. And WOW the dress she picked was perfect and she paired it with a vintage fur wrap. 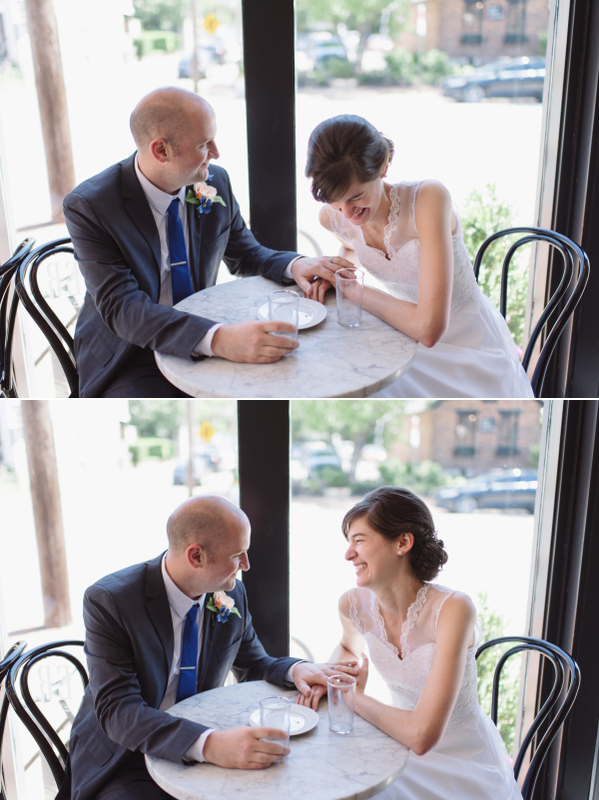 The morning of their wedding, Becca stopped into the North Market flower shop and they made her bouquet on the spot. Not only was it stunning, but it smelled amazing thanks to sprigs of eucalyptus. Rich’s tweet 3-piece suit came all the way from Scottland and the two of them together had a classic/vintage look, perfect for photographing against the urban backdrop of downtown. My favorite part of the day had to be when their family surprised them during our photo session by blowing bubbles on them. They had actually followed us from the courthouse in secret! It made for the best reactions from the bride and groom, and I must say some awesome photos to boot.